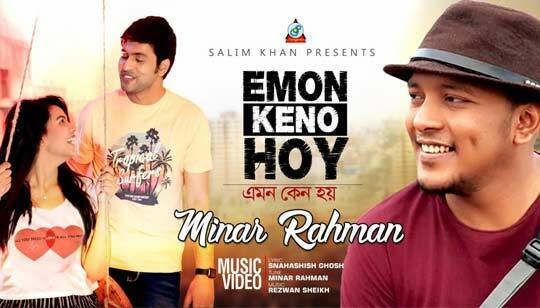 Emon Keno Hoy Lyrics by Minar Rahman: Presenting most awaited and popular singer, lyricist and music composer Minar Rahman's new Bangla music video song "Emon Keno Hoy". This Bengali romantic song lyrics has been penned by young lyricist Snahashish Ghosh and composed by Minar Rahman. Starring: Sabbir And Tahi. Emon Je Keno Hoy !